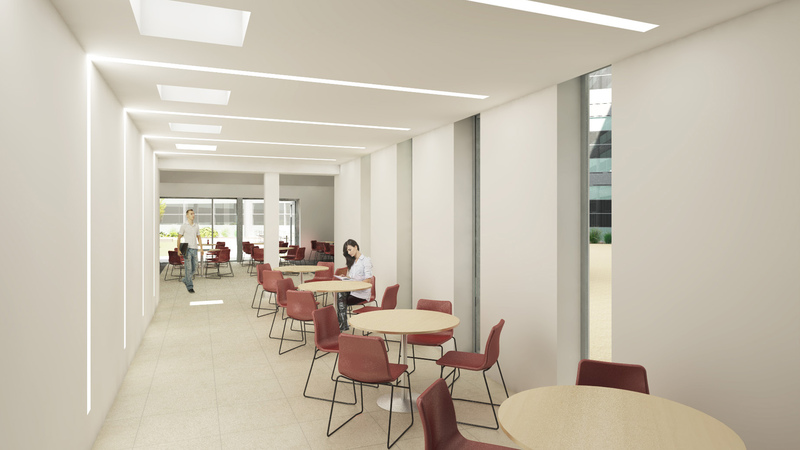 Following the University of Manchester Faculty of Life Sciences having undertaken a strategic review of their accommodation, it was identified that an element of the ground floor level of the Michael Smith Building currently being used as a café could be used as staff space. 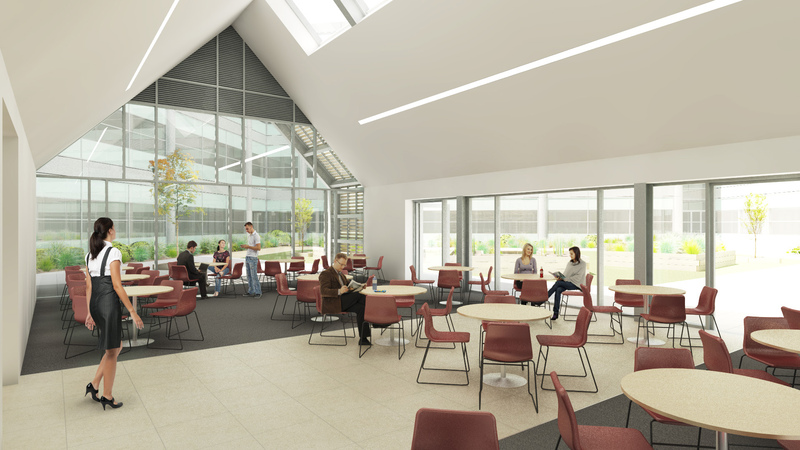 The project optimises the co-location of its research staff and laboratory facilities through the design of a new building within the Quad to provide a staff lounge, lobby, and public events space. Wilson Mason have worked in close co-operation with the University to ensure minimal impact on the building users. To avoid disruption, the extension will be completed and moved into prior to the work on the write up space starting to allow the facility to function throughout the construction process. 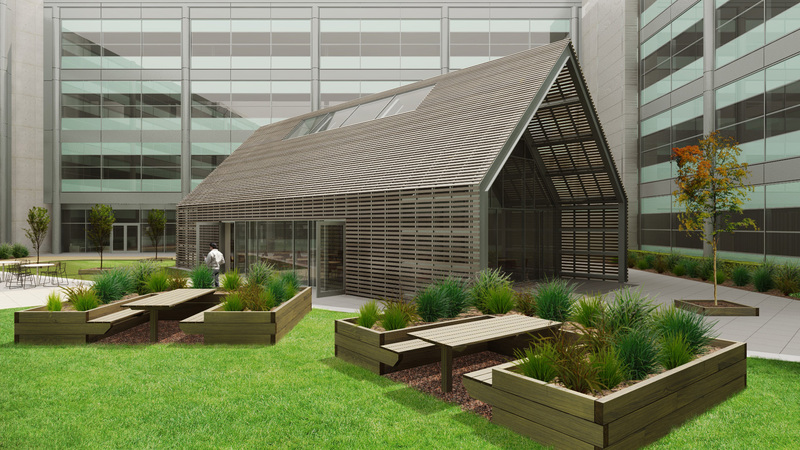 The building was designed to a BREEAM Very Good rating and to promote natural daylight and ecological diversity. 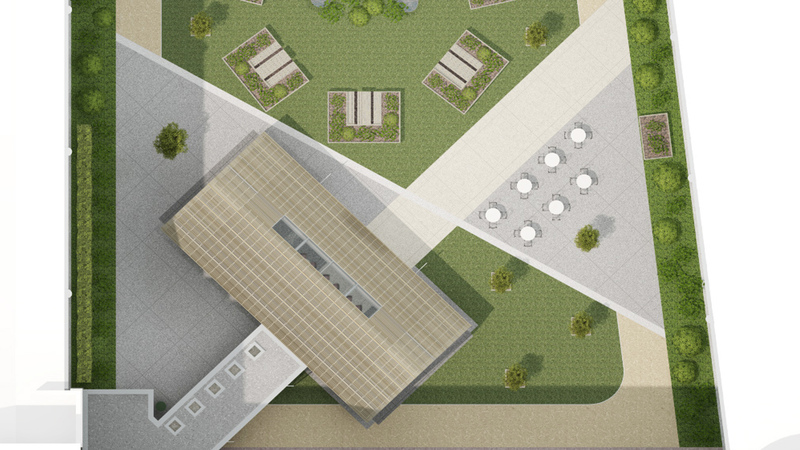 The Quad will be maintained as the ‘green heart’ to the building.